Reveal your best physique yet with the BPI Best Self 6-Week Challenge. These are people just like you, who are striving every day to become stronger and healthier. Congrats to David and everyone who completed the Challenge. And thank you to BPI for giving people all over the world a chance to become their best selves. David's road to ripped-status has been a long one. 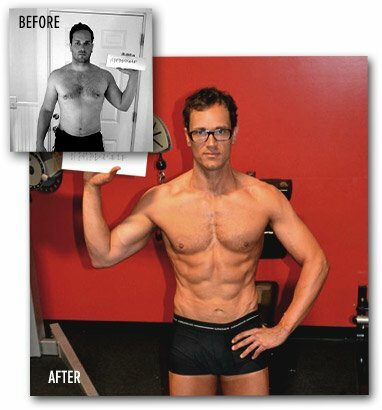 But thanks to the motivation of this Challenge and the support of his wife and family, he has shed 25 pounds and 5.6% body fat in just 6 weeks! If you, too, are struggling to attain the physique you want, David has some words of wisdom: "To anyone out there who is unhappy with themselves, make a choice. Choose to be happy. Choose to abandon excuses. Choose to change. Choose to be motivated. Choose to become your own Best Self. The reward is great, especially when you can remember the very moment you took control and made a choice." Click the link below to see more of David's journey.